Imagine you’re in charge of a major heist. 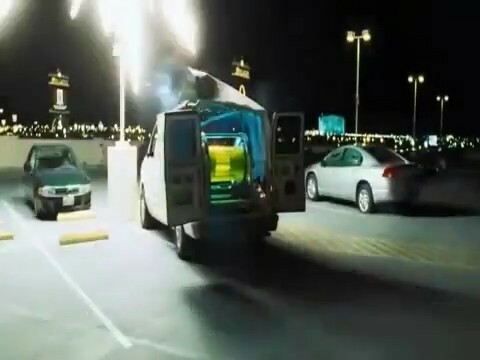 Right as your crew is about to rob the main vault, you need all of the electronics in the building to fail at exactly the right moment with no other collateral damage (except, maybe, to your raggedy panel van). Obviously you will turn to one of the entertainment industry’s tired tropes, the electromagnetic pulse! The only problem is that if you were to use a real one rather than a Hollywood prop either there would be practically no effect, a large crater where the vault used to be, or most of humanity would be in deep trouble. After all, the real world isn’t quite as convenient as the movies make it seem. Our curiosity into this phenomenon was piqued when we featured an “EMP generator” from [FPS Weapons]. The device doesn’t create an enrapturing movie-esque EMP pulse suitable for taking down a casino or two, but it does spew a healthy amount of broadband electromagnetic interference (EMI) in every direction. It probably also doesn’t send the EMI very far; as we’ve seen in many other projects, it’s hard to transfer energy through the air. It got us wondering, though: what is the difference between being annoying and creating a weapon? And, is there any practical use for a device like this? If you know anything about how films are made then you have probably heard about the “green screen” before. The technique is also known as chroma key compositing, and it’s generally used to merge two images or videos together based on color hues. Usually you see an actor filmed in front of a green background. Using video editing software, the editor can then replace that specific green color with another video clip. This makes it look like the actor is in a completely different environment. It’s no surprise that with computers, this is a very simple task. Any basic video editing software will include a chroma key function, but have you ever wondered how this was accomplished before computers made it so simple? [Tom Scott] posted a video to explain exactly that. In the early days of film, the studio could film the actor against an entirely black background. Then, they would copy the film over and over using higher and higher contrasts until they end up with a black background, and a white silhouette of the actor. This film could be used as a matte. Working with an optical printer, the studio could then perform a double exposure to combine film of a background with the film of the actor. You can imagine that this was a much more cumbersome process than making a few mouse clicks. For the green screen effect, studios could actually use specialized optical filters. They could apply one filter that would ignore a specific wavelength of the color green. Then they could film the actor using that filter. The resulting matte could then be combined with the footage of the actor and the background film using the optical printer. It’s very similar to the older style with the black background. Electronic analog video has some other interesting tricks to perform the same basic effect. [Tom] explains that the analog signal contained information about the various colors that needed to be displayed on the screen. Electronic circuits were built that could watch for a specific color (green) and replace the signal with one from the background video. Studios even went so far as to record both the actor and a model simultaneously, using two cameras that were mechanically linked together to make the same movements. The signals could then be run through this special circuit and the combined image recorded all simultaneously. We’ll compile your suggestions in a later post, but I’m betting something from Star Trek: Voyager will make the #1 technobabble/hacking lingo fails. There’s just too much in that show that isn’t internally consistent and doesn’t pay any heed to the laws of (fictional) physics. Warp 10, I’m looking at you. Of course there was the wonderful Habbo reference in last week’s Doctor Who, but I’m betting that was intentional as [Moffat] seems pretty up to speed on the tropes and memes of the Interwebs. About a month ago, we asked you for your take on the worst hacking scenes ever shown on TV or film. The results made for good viewing, albeit with a surprising absence of Lawnmower Man. Now we want some dialogue to go with these horrendous hacking scenes. So, what say you, Hackaday? What are the worst hacking lingo fails you’ve seen or heard? Please be specific about what movie/TV show you’re referencing. Last time some good stuff probably slipped by because people just said a few words without context assuming we’d know exactly what they were referring to. It’s time to do your best impression of [Comic Book Guy] as you make your case for trash or triumph in big screen hacking scenes. We watch a lot of movies, and it’s hard not to groan when the filmmakers cut corners by doing zero research into what using a computer actually looks like. But then once in a great while you have a team that does its due diligence and puts up a scene that makes sense to those of us in the know. So we’re wondering, what movies do you think have the best hacking scenes, and which ones are the worst offenders? Leave your opinion on the topic in the comments section. We realize that you can come up with tons of poorly done ones, what we would really like to hear about is who did it right. We’ll get you started with a couple of examples. The image on the upper left is a scene from Tron: Legacy which we think did a fantastic job of portraying actual computer usage. You can read more about the huge amount of work that went into it in this article (via Reddit). In the lower right is one of the most shady movies scenes that comes to mind. [Hugh Jackman] is compelled to do some ‘hacking’ by [John Travolta] in the movie Swordfish. 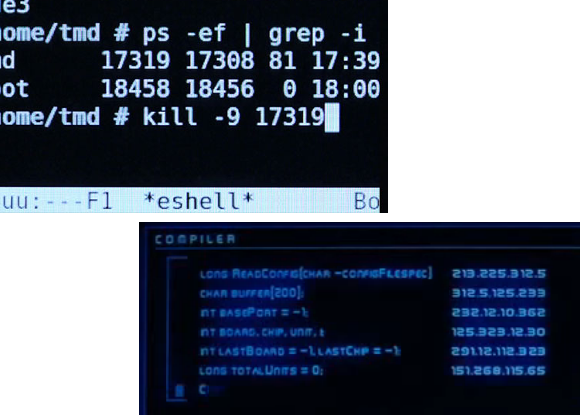 The caption at the top of the screen is “COMPILER”, and who the heck knows what the rest of that is supposed to be? On the hardware hacking side, it gets a little more difficult, we would LOVE some examples of hardware hacks or mods done right.